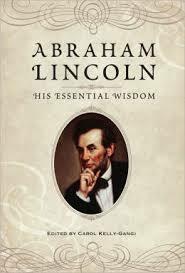 A book that sits on my desk at work is “Abraham Lincoln~ His Essential Wisdom”, edited by Carol Kelly-Gangi. No, I don’t flip through this book looking for little gems of insight to hand out to my team members should they have questions, issues, complaints, etc. But…. I have read it. It is a wonderful little book that has many known, and unless if you read EVERYTHING about Abe like I do, many unknown quotes. Mr. Lincoln truly was a funny man, with a sense of humor that some may have found as dry, or even rude, but those close to him knew it as nothing more than his wit and clever thinking. Sometimes it may have come out at an inappropriate time, or shocked some of his guests or listeners, but I really think no harm was meant by it on Abe’s part. I really think he could do nothing more than just be honest, no matter how much one didn’t want to hear the truth. So why do I have this book sitting on my desk? I like to look at it. It has a nice portrait of President Lincoln on the cover, and I have a slightly over-zealous obsession of all-things-Lincoln. No, I do not know why. He is not a long-ago branch on my family tree, and I cannot remember the first time I became aware of who our 16th President was. Maybe I did a report on him when I was in Kindergarten? Maybe we had a school celebration for Presidents day that I was conscious of but too young to remember today? It’s a book I will take home eventually to put back in my bookcase, maybe replacing it with another book of one type or another. I think I like it on my desk because it is a part of who I am, and a part of what defines me, my feelings, my beliefs, and my love of all comments sarcastic, right-in-your-face, no words minced. 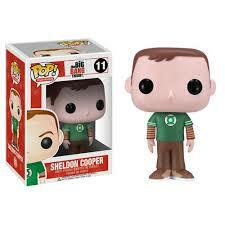 With that being said, I should also say I have a Pop Television Dr. Sheldon Cooper vinyl doll standing in front of this book (but not blocking the portrait! ), pictures of my girls all over my cork board, usually a Portals of Prayer book sitting somewhere near-by if I take it out of my purse, and a candy dish that I change with the holidays full of whatever candy happens to be in season. Gingerbread Twix, Hot Cocoa 3 Musketeers, and Cordial Cherry Hershey’s Kisses right now. Yummy! You Cannot Help But Love This Guy! Unintentional sarcasm at its best! I spend 50-60 hours a week at work, sometimes more. I spend a lot of that working on a computer. So having my desk feel a little bit like home makes it not-so-bad to be at work so much. Oh. And loving my job helps too!